Looks like time for a new printer. 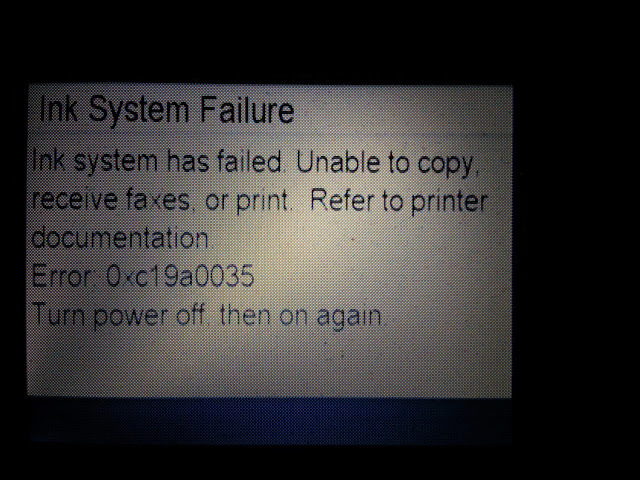 I recently got a new printer, and it still gives me warnings that are similar to this, but it usually because it loses wireless connectivity, and not a real problem with the printer itself. We just may have a crappy WiFi system.